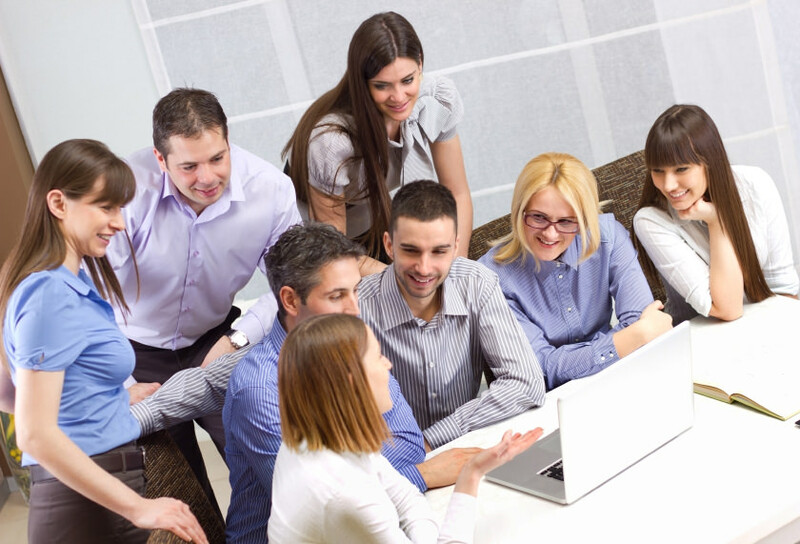 Is your eLearning programs On-the-Job Training Friendly? Whether or not we can prove it, most of us “know" that we learn most of what we need to know about our jobs through some form of informal learning. Most of us will cite experience or on-the-job (OJT) training as the most popular form of learning we use to learn our jobs. However we define it, OJT plays a major role for how people learn their jobs. Elliott Masie raises this issue in a Chief Learning Officer Magazine post, discussing the vital importance of OJT training, how learning professionals under report its importance, and what the future of OJT might look like. If OJT is so important, then why do we need formal classroom training or eLearning? It is a good question, and a question that learning designers should consider when designing eLearning. Perhaps eLearning designers should ask themselves how eLearning designs can help people learn on the job? That subtle questions could change how we create eLearning to be more OJT friendly. There are three ways to use eLearning to be OJT-friendly. OJT works well because while someone is performing a task and gets stuck, they can do two things. They can tinker until they figure it out on their own or they can ask someone nearby, “How do you do this?” After a quick explanation from someone who knows what to do, one can try and usually complete the task. All most people need is a quick explanation for how to perform a specific task, and they can do it. You can simulate this OJT using Mindflash by creating short (very short), task-specific modules and giving them a name that is specific to the task. While searching for a tutorial, someone can search for “How to Merge Accounts,” and find your mini-training course. The Mindflash course is limited to the merging accounts task and nothing more. The idea is to give people just what they need, so they can focus only on accomplishing a task. To make your short tutorials even more effective, you can add video tutorials to your short Mindflash courses. Using a free tool like Jing, you can record screen captures of software systems showing how to perform a specific task, and then add those to your Mindflash course. You can take video to the next level by using your smartphone video camera and recording short how to tasks that do not involve computer software. Much of what makes OJT so effective is having someone in the office showing you how to do something, You see it first hand. Short videos can be a replacement for “seeing how a task is performed” first hand. Half of what makes OJT so effective is observing someone showing you how to do something. The other half is having a conversation that involves a back-and-forth of questions and answers. You ask a question, someone answers, and you ask a follow-up question. This back-and-forth can be difficult to simulate using eLearning. However, if you integrate a tool like Yammer with Mindflash, you can make it easy for people to have these types of conversations with people anywhere in their organizations, no matter where they work. If we all “know” that on-the-job experience is the best way to learn, we should frame our eLearning designs to support OJT as much as possible. By focusing eLearning courses on job-specific tasks, we can help people learn on the job. Bill Cushard, author, blogger, and learning experience (LX) designer, is a human performance technologist (HPT) with extensive, in-the-trenches experience building learning organizations in start-up and hyper-growth organizations like E*TRADE, the Knowland Group, and Accenture. You can follow him on Twitter or on Google+.